Officials are looking to fill 22 positions on 12 of the city’s boards, commissions and committees. The list of vacancies includes volunteer seats on the Active Transportation Advisory Committee, Environmental Action Committee, Parks and Recreation Advisory Board, Town & Gown Advisory Committee and eight more. Applications must be mailed or hand delivered to the City Clerk’s office or emailed to city_clerk@ci.fayetteville.ar.us by 5 p.m. Friday, Nov. 26. 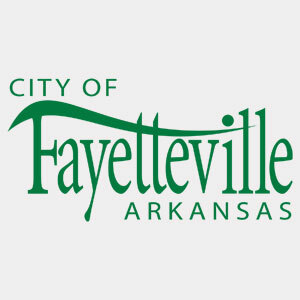 Description:This committee reviews public comment, and advises city staff on the prioritization and land acquisition/easements for sidewalks and trails within Fayetteville. 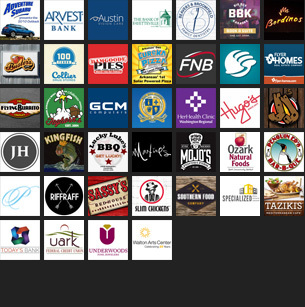 Members are also responsible for adopting sidewalk and trails master plans. Recommendations relating to trails are forwarded to the Parks and Recreation Advisory Board. Recommendations relating to sidewalks are forwarded to the Transportation Division. Meetings: The Committee meets quarterly on the second Wednesday of the month at 5:30 p.m. in Room 326 at the City Administration Building. Meetings: Regular meetings are held on the second Thursday of each month at 1:30 p.m. at the Fayetteville Executive Airport Conference Room. Description: The Audit Committee serves in an advisory capacity between the City Council, the city’s independent auditor, internal auditor, and management. The committee will review the city’s financial reports and internal controls regarding finance and accounting. Meetings: The committee shall meet at least three times annually, or more frequently as circumstances dictate. Description: This board works to secure the city from contagious, malignant, and infectious diseases. Meetings: The Board meets quarterly the second Wednesday of the month at 3:30 p.m. in Room 326 at the City Administration Building. Meetings: Meetings are held the third Thursday of each month at 5:30 pm in the City Administration Building. Meetings: The board meets on the fourth Thursday of each month in the City Administration Building, Room 111 at 6 p.m. Description: The purpose of the authority is to construct, maintain, and operate a regional airport and such auxiliary services and facilities as may be deemed desirable. Description: This board recommends priorities for capital improvements and means for financing the same, and prepares an annual progress report on parks and recreation activities. Meetings: The board meets on the first Monday of each month at 5:30 p.m. in Room 111 of the City Administration Building. In addition to the regularly scheduled board meetings, there are committee meetings that occur on a regular basis. Meetings: Regular meetings are held on the second Wednesday of each month at 4 p.m. in Room 111 at the City Administration Building.